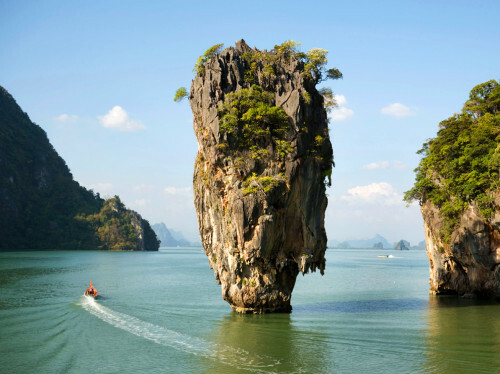 Cheap flights to Thailand: Bangkok from London for €467! UIA now offers cheap flights from UK to Thailand. 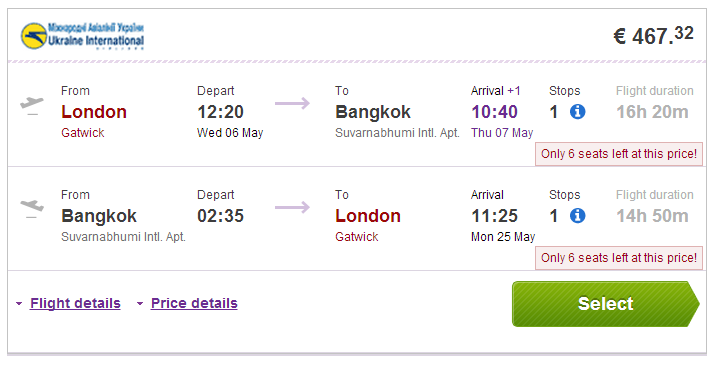 Return flights from London (Gatwick) to Bangkok are available for only €467! Standard price on this route is €600+. 23 kg luggage is included, there is one stopover in Kiev. Travel dates are in May and June 2015. « Cheap flights to Panama: Panama City for €494!